Appleのメールアプリにスケジュール送信機能やDropbox, Evernote連携機能などを追加してくれるアシスタントアプリ「MailButler」がリリース。 | AAPL Ch. Looking for SendLater, EverMail, CargoLifter, ForgetMeNot, Graffiti, or Face2Face? If you already have them on your computer, they will continue to serve you within El Capitan. 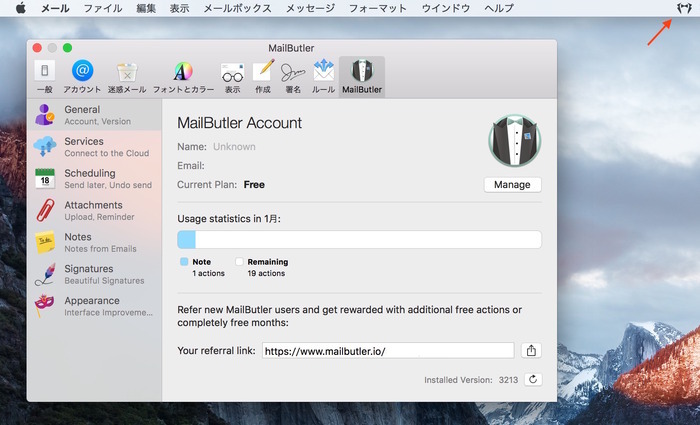 If you want to get them, try MailButler, which contains what you need and even more! MailButler allows you to schedule an email to be sent at a specific date and time. 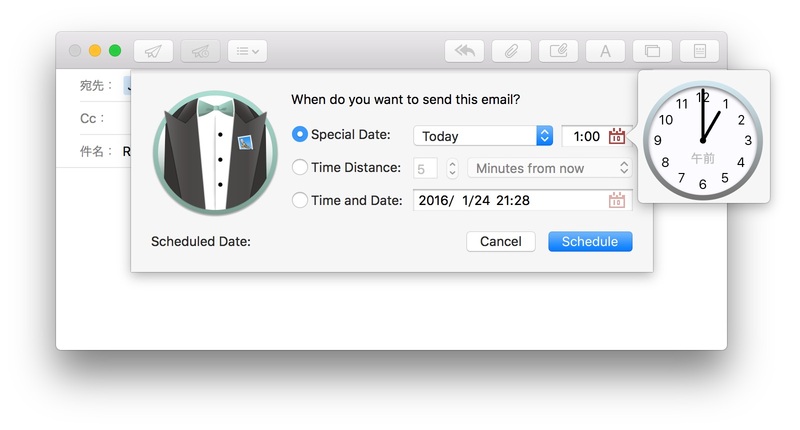 Thus, you can fulfill lots of tasks beforehand by writing several emails at once and letting MailButler secure their scheduled delivery later. 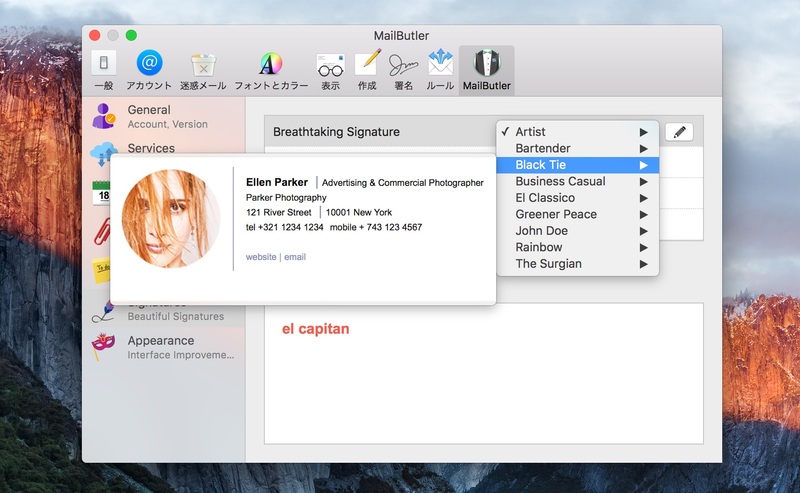 With MailButler you can create beautiful email signatures by selecting between our various templates. You can configure photo images, text and colors to define the signature’s individual style. 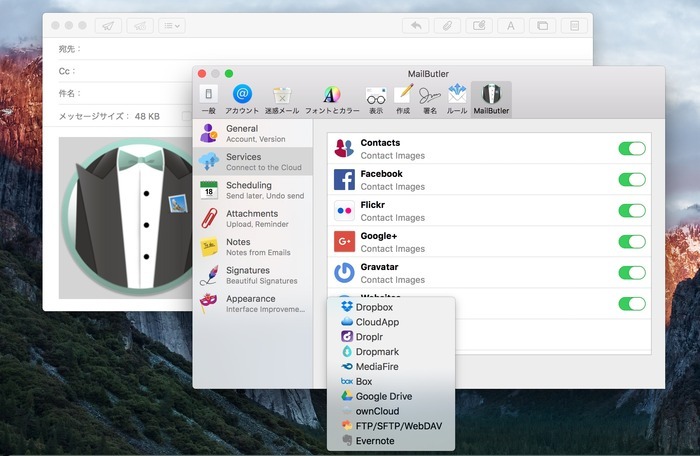 MailButler allows you to easily convert emails in Apple’s Mail application into notes. 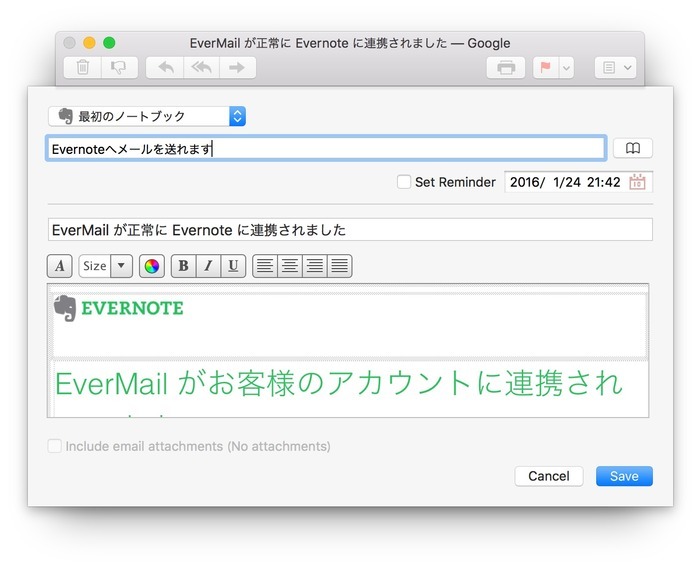 This includes formatting, file attachments, tags, reminder date and other meta information.